Here is a map contains territory of Brazil. 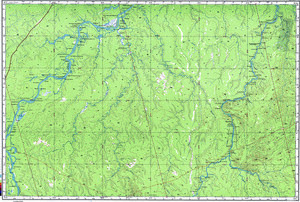 On this map Volta dos Porcos download for free. On this map Vista Alegre presented. Veneza presented. On this map Tres Casas for Garmin. Tres Casas for Garmin. Trapiche download for free. Displayed Tigre download for free. Terra Preta download for free. Displayed Sumauma download for free. Sintra download for free. Displayed Sauva for Garmin. You can find here Sao Vicente for Garmin. On this map Sao Sebastiao de Tapuru download for free. Displayed Sao Raimundo marked. Sao Rafael download for free. You can find here Sao Pedro for Garmin. Displayed Sao Pedro for Garmin.